Our cloud based SaaS has been designed with growth in mind. 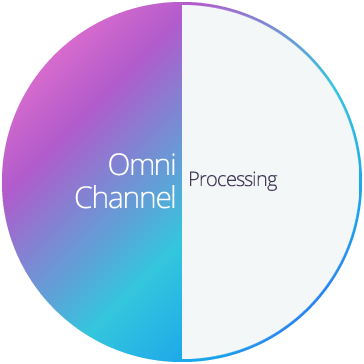 As a partner, you can onboard unlimited number of merchants. Our secure and scalable technology stack will continue to self-optimise for optimal performance. Stark Payments’ approach is to provide a secure, robust and reliable payment processing service. We have invested in extensive security controls and infrastructure that is constantly updated and improve to ensure payments are processed safely and securely. 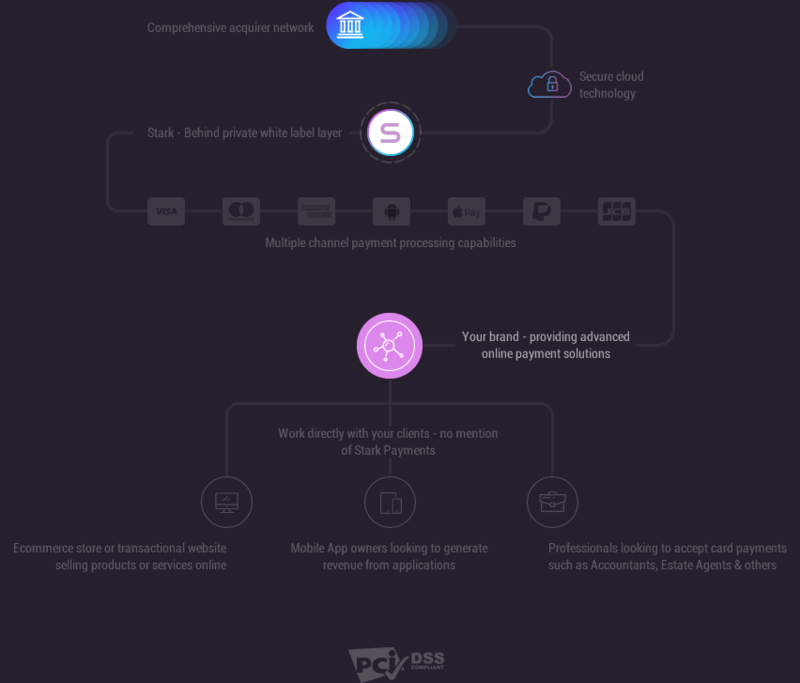 Stark Payments are a highly trusted online payment card processor with certifications and accreditations with several leading financial institutions. 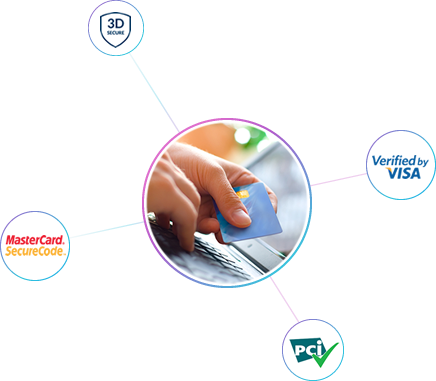 Our current industry standards adheres to PCI DSS Level 1, the highest level of PCI compliance. Our technical infrastructure is located in secure co-location facilities that have 24×7 manned security and advanced management systems along with environmental controls. A single cloud platform connects directly into all the UK acquirers and several more in Europe and increasingly the rest of the world. The platform is hosted on active-active hypervisors on a private cloud within a world leading data centre supplier. Performance and up-time is a near perfect 99.998% with the ability for automatic failover, instant scalability to increase bandwidth and a global DDoS protection shield to protect against DDoS attacks. Critical servers are monitored 24×7 via real time reporting and an alerting service. All connections to the financial institutions are over private dedicated connections, backed up by ISDN lines and in certain cases VPN connections over the internet. Cardholder information is always encrpted and hashed when stored on the payments systems and will never be displayed in reporting systems.